After a humbling 6-1 drubbing by Germany, Zimbabwe women’s football team put on a brilliant second half performance but it was not enough as they lost their second math at the ongoing 2016 Olympic in Brazil, 3-1 to Canada. Coach Shadreck Mlauzi brought regular keeper Chido Dzingirai in for this match it looked to be another disaster as the Mighty Warriors conceded in the seventh minute to Janine Beckie. It got worse as Dzingirai conceded a foul which Christine Sinclair converted from the spot. When Beckie scored the third in the 35th minute it looked like it was going to be a gory day for the ladies. Down 3-0 at half time with only one attempt on target it looked like it would be more of the same. Suddenly Zimbabwe came back a side renewed fighting for every tackle, chased down every ball and against the number 10 team in the world. 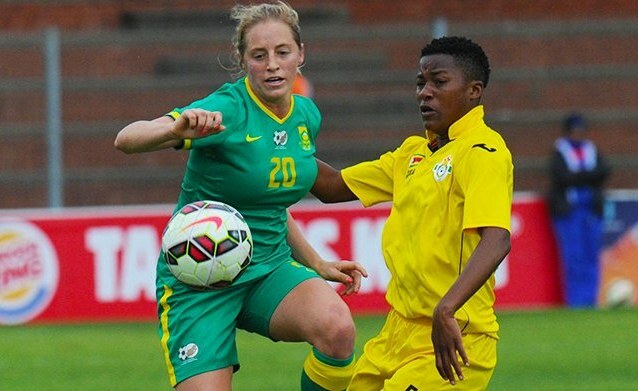 The attempts racked up to 7 in the end and one of them was an Olympic goal for Mavis Chirandu in the 86th minute. It was another loss but the fact that the Mighty Warriors won the second half 1-0 is a thing to be proud of. It shows that the team is learning very quickly plus the fact that the only difference between them and a world class side is experience.